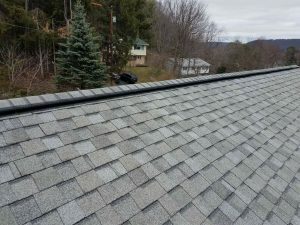 Special thanks to Jason Carter for the pics of this super long run of RIDGE-GUARD® the ORIGINAL roof ridge exclusion product. Jason is the owner and CEO of Fur and Feathers Wildlife Control servicing In New York: Binghamton, Elmira, Ithaca, Syracuse, Utica. And also Pennsylvania: Scranton, Wilkes-Barre, Allentown, Philadelphia, Reading. 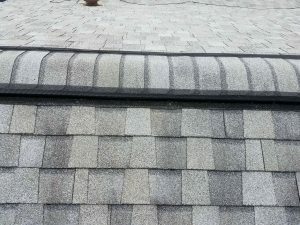 If you live near any of these areas and are interested in a quote for installation of RIDGE-GUARD® give Jason a call at 866-442-9360.